Service Costs > How Much Does Dry Cleaning a Blanket Cost? How Much Does Dry Cleaning a Blanket Cost? 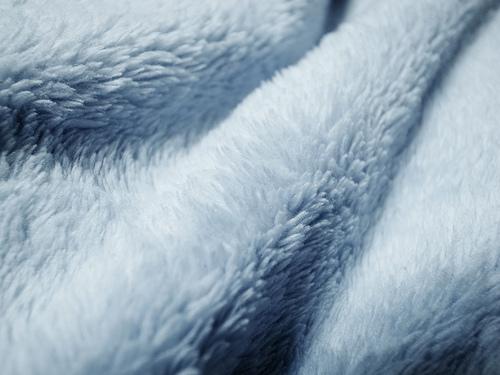 The problem with some blankets, particularly those made from wool, is that they cannot be washed or dried in a household dryer. Because of this, your only route may be the dry cleaners. The cost of dry cleaning a blanket will depend on the material, the size and dry cleaner performing the job. As long as the blanket is not made of feathers or considered a down comforter, most dry cleaning jobs are going to be around $5 to $15. Premium blankets made from silk or wool, however, can cost upwards of $25. At ApartmentTherapy.com, some users stated that they paid anywhere from $5 to as much as $20 to have a wool blanket dry cleaned. Dry cleaners are going to price the blanket according to its size and material. These sizes will include a twin, double, queen and king. Even if the blanket was not designed for a bed, most will use this pricing structure. Turn around times for a blanket should be from 24 to 48 hours. When you take your down comforter to the dry cleaners, the first thing that they will do it tag it so that it does not get confused with any of the other items in the service. Just like pre-treating your clothes when washing them at home, the dry cleaner will then pre-treat any spots or problem areas on your down comforter. The comforter will then be placed inside of a machine to be cleaned in the solvent. After the washing is complete, the stains and spots will be inspected once more to ensure they are gone. If not, they will be further treated with a spot treatment solution. Once all the washing is complete, the comforter will be dried, folded, ironed (if needed), and packaged for pickup. A down comforter is not considered a blanket by most dry cleaners. Since these comforters can be larger in size and take longer to wash and dry, the costs can easily exceed $25. Delicate materials such as wool and silk can cost up to 30 percent more. Additional add-ons, such as pillowcases, duvet covers, and/or shams, can cost extra. Some dry cleaners can perform smaller repairs, ranging from replacing a zipper to repairing the lining around the blanket. Most repair jobs will cost less than $20. If the company offers a delivery service, delivery charges will be extra and will depend on the distance from the cleaner. Removing tough-to-remove stains can cost extra. If your washing machine has a delicate option, consider washing the blanket at home. Rinse with cold water and make sure it is on a lower spin. Formulated detergents, such as Woolite, can help protect and clean delicate blankets. If the tag on the blanket says “dry clean only,” it is best to not take your chances and dry clean it. Consider going to the local laundromat. They tend to have larger washer and dryers and can cost less than a few dollars a load. If going this route, however, just make sure that you are using a four-load washer. Regular brushing can smooth out a blanket surface. With delicate fabrics, consider using a natural sponge. Many local dry cleaners will list their prices on their website. If you cannot find it, consider calling them up to see what they charge. If you are a newer customer, ask about promotions or discounts you can take advantage of. It also does not hurt to check local newspapers for coupons and special deals. Discounts may also be available for previous customers as well. Once you find a dry cleaning service that you like, stay loyal to them. If you are going to take your blankets, comforters or clothing to the same place, they will more than likely give you the best price. You will also be able to get better customer service. Those who need more than one item dry cleaned may want to consider getting everything done at once. This can help with bulk savings. Some blankets can successfully be washed at home; however, before doing so, just make sure that you know what steps will work best. The process depends on the type of fabric.